NAVIGATION!! BMW EXECUTIVE DEMO!! 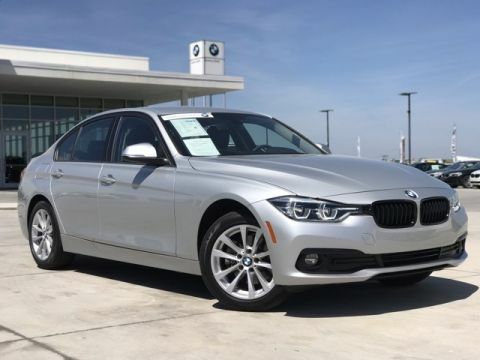 UNLIMITED MILEAGE WARRANTY!! 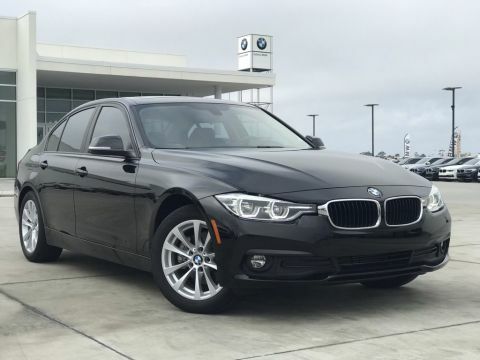 Beautiful Certified BMW Executive Demo... 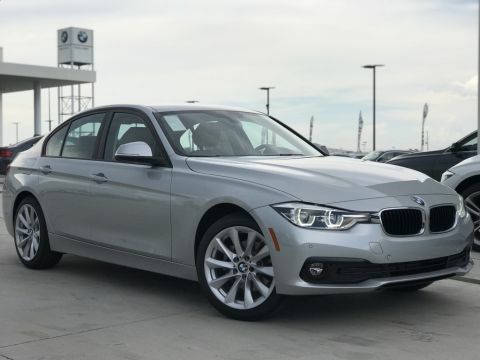 This vehicle is truly the best of all worlds as it has never been registered, qualifies for BMW Financial Services factory support and is THOUSANDS less than the original MSRP! And perhaps best of all, it's a Certified BMW which means the warranty has been extended to 5 Years/Unlimited Miles!! Yes... UNLIMITED MILES!! And like all of our Executive Demos, we include complimentary Scheduled Maintenance up to 3 years or 36k miles. 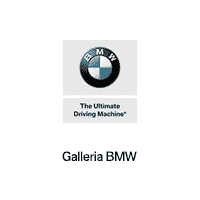 Unbelievable financing terms for qualified customers available through BMW Financial Services. Certified. 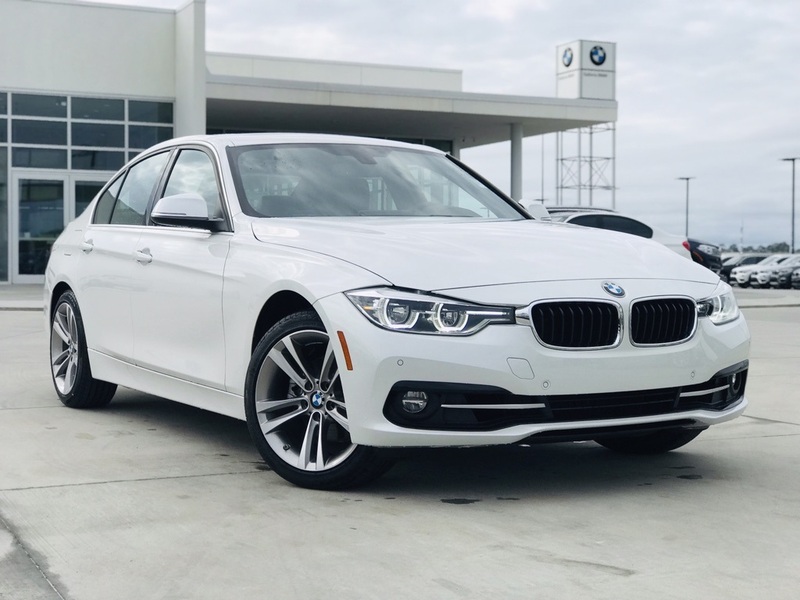 Mineral White Metallic 2018 BMW 3 Series 330i RWD 8-Speed Automatic 2.0L 4-Cylinder DOHC 16V Turbocharged 330i, 4D Sedan, 2.0L 4-Cylinder DOHC 16V Turbocharged, Mineral White Metallic, 9 Speakers, Advanced Real-Time Traffic Information, AM/FM radio, Anti-whiplash front head restraints, Apple CarPlay Compatibility, Automatic temperature control, Brake assist, Comfort Access Keyless Entry, Convenience Package, Delay-off headlights, Dual front impact airbags, Dual front side impact airbags, Electronic Stability Control, Emergency communication system: BMW Assist eCall, Exterior Parking Camera Rear, Front dual zone A/C, Front fog lights, Fully automatic headlights, Garage door transmitter, Hands-Free Bluetooth & USB Audio Connection, HD Radio, Head-Up Display, Heated Front Seats, Heated Steering Wheel, In-Dash CD Player, Instrument Cluster w/Extended Contents, Leather steering wheel, Lumbar Support, Memory seat, Moonroof, Navigation System, Overhead airbag, Park Distance Control, Power driver seat, Power steering, Power windows, Premium Package, Radio: Anti-Theft AM/FM Audio System, Rain sensing wipers, Rear air conditioning, Remote keyless entry, Remote Services, Security system, SensaTec Upholstery, SiriusXM Satellite Radio, Speed control, Speed-sensing steering, Sport Edition, Steering wheel mounted audio controls, Traction control, Turn signal indicator mirrors, Wheels: 18" x 8" Double-Spoke (Style 397).